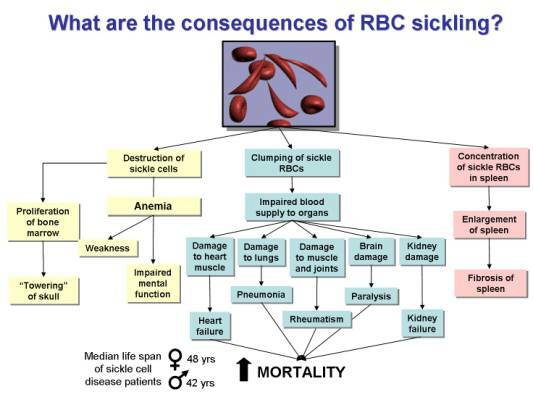 Sickle Cell Disease : A genetic disorder that results in the premature death of red blood cells. Patients are constantly short of red blood cells. 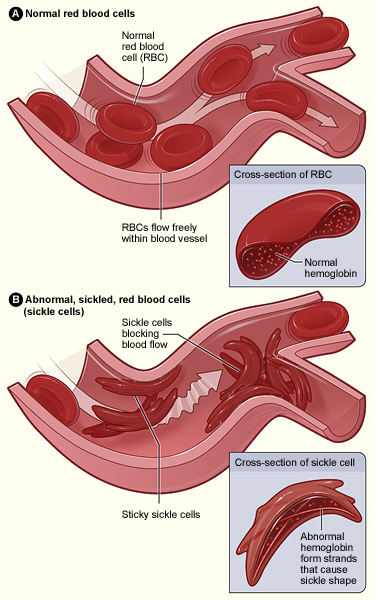 Abnormally shaped sickle cells will sometimes block other blood cells. Even though most people with sickle cell have to battle against many different conditions from abdominal pain,joint pain and fatigue to shortness of breath, it is possible to incorporate exercise into their lifestyles. Swimming in WARM WATER in a good exercise for this population since most of them experience joint pain. And since this is sometimes an exercise blog, I can't close out without highlighting what the athletic world is doing to promote Sickle cell Anemia Awareness. Clark who has the sickle cell trait is launching an organisation called THE CURE LEAGE. This organisation is a collaboration between supporters, the Institute of Transfusion Medicine, University of Pittsburg's medical center and vascular medicine institute. Their purpose is to try and find a cure for sickle cell. He announced this initiative today while the rest of his team traveled to Denver to play against the Bronco. Clark cannot play in Denver because the high altitude poses a medical risk. The last time he played in Denver..2007..he lost a spleen and gall bladder after experiencing abdominal pain on his left side. Clearly since that experience, Denver is a NO PLAY zone for him.